I opened up Marcus Reeve’s book, Somebody Scream! rap Music’s Rise To Prominence in the Aftershock Black Power, this weekend. I’m in knee-deep via this literary cultural ride. I wanted to share this book with my fan base to urge you to read the book when you get a chance. 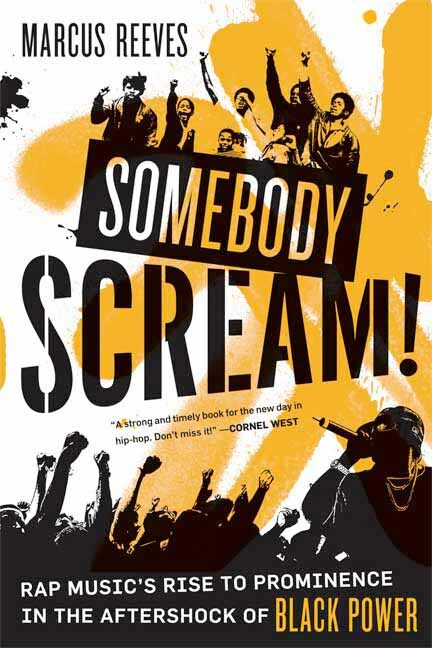 The author is well versed in the historical, political, and cultural make up of Hip Hop from what I’ve read thus far. I for one appreciate the research that it took to write this book. Trust, it will take you back (Make sure you read the introduction) time and have you wondering what happened to the art form and lifestyle in the 21st century. Surprisingly, it wasn’t that hard to write because before I even started I had a beginning, a middle and an end. I’d already picked out who were the most influential rap artists—the ones who lead their particular era—strung their stories together by chapter and let the narrative unfold. And the narrative was easy because, like so many who’d watched the story of commercial rap over the last 30 years, it was also the story of my life. All the history and events that the music reflected, and I talk about in the book, were things I lived through and impacted my life. The last chapter of the book, which discusses what events shape the music now, helped capture all those moments that were still unfolding.